Esther Beza has many responsibilities. 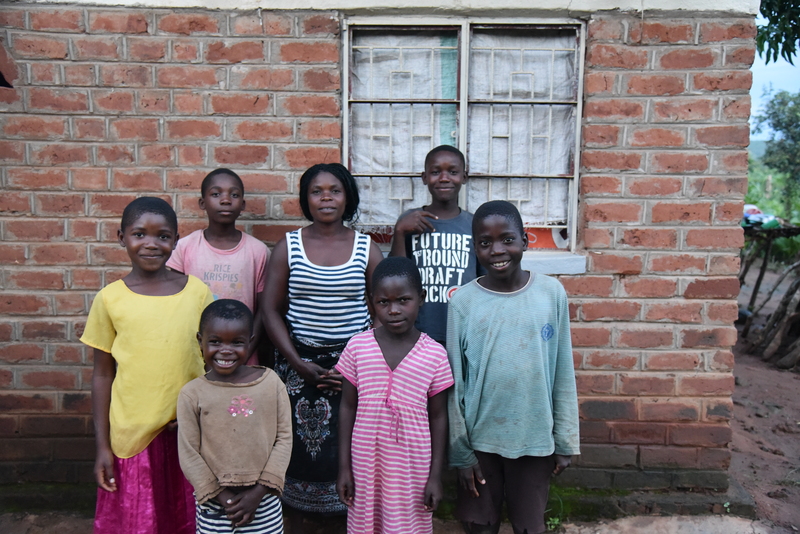 The 29-year-old Malawian farmer takes care of her four children, three of her brother’s children and her elderly parents, all while farming two hectares of land. It’s not always easy, but Beza tries to look on the bright side as much as she can. “I am happy because I can provide for my family and share my excess crops with others,” she says. Esther’s husband left for South Africa in search of work two years ago, which meant she had to do all the farming and household work on her own. Due to changing rain patterns, low soil fertility and poor access to seeds, Esther’s crops didn’t yield enough food to feed her large family. She struggled to cope and would skip meals so her kids could eat. Then she heard about an agricultural training project supported by PWS&D with partners at Canadian Foodgrains Bank offered to about 6,000 families in the area. “I was a poor woman so I decided to participate in the project so I could depend on myself to help my family and friends,” she says. Esther began implementing farming techniques that she learned through the project. She also received seeds and learned how to save some to use in following years. In the past, if you asked Esther what her goals for her family were, she would have said to prevent hunger. Now, she no longer worries about anyone going hungry and grows almost all the food she needs to provide healthy meals for her family. Esther hopes to send her younger brother to school first, and then her children, niece and nephews. Esther is just one example of how investing in women farmers has spinoff effects that benefit entire communities. For Foodgrains Bank executive director Jim Cornelius, that’s why supporting female farmers in the developing world plays a critical role in ending poverty. “By providing female farmers like Esther with access to the same kind of training and resources as men, we could reduce the number of people living with chronic hunger by as much as 150 million people around the world,” he says. Esther is grateful for the support that’s allowed her to use her own smarts and willpower to improve her life. *Original story and photos by Shaylyn McMahon, communications assistant at Canadian Foodgrains Bank.